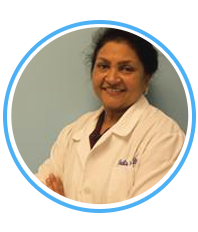 Dr. Sheila Rao is a well-known dentist in the Prince William County and the Northern Virginia for her accomplishments as a dental care provider, promoting dental health awareness among children and outreach to community in need of quality dental care at affordable cost. 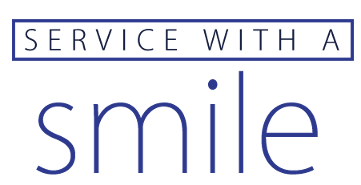 Her motto “Service-with-a-Smile” has guided her practice from day-one. Dr. Rao, her dental colleagues and the support staff have established a stress-free working environment and a friendly office culture to ensure every patient receives quality dental care with a smile. Dr. Rao offers a full-service dental clinic with a wide variety of general dentistry, cosmetic dentistry, and specialized periodontal and endodontic services. Dr. Rao has an established reputation and outstanding experience providing high quality, personalized care for patients, both young and old. Dr. Rao participates in Prince William and Fairfax County Public School community outreach as a speaker promoting dental awareness and oral health and hygiene. Dr. Rao, a graduate of the Georgetown University Dental School (Washington, DC), has over 25 years of practice in Dentistry. She is a Fellow of the Academy of General Dentistry. Dr. Rao and her multilingual team of dentists and office staff are well experienced in the diagnosis, treatment and dental care of both pediatric and adult patients.